Two days kayaking & two days walking the coastal track allows you to explore from Marahau to Onetahuti on and off the water. Kayak north to the Marine Reserve and then return to Marahau via the coastal track. 2 Day Kayak: Marahau – Onetahuti/2 Day Walk: Onetahuti - Marahau. We have put together this four day (2 kayaking/2 walking) so you can explore Marahau to Onetahuti. This trip will see you kayaking the diverse and stunning coastline between Marahau and Onetahuti beach over two days and then retracing your footsteps via the coastal track back to Marahau. We make all this possible by collecting your kayak for you on day two at Onetahuti and leave you to walk South through what Lonely Planet describes as the most beautiful section of track in the park. Spend your last night at Anchorage before heading back to our base in Marahau for a hot shower. 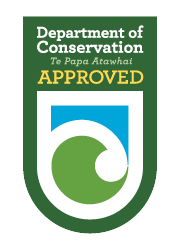 Recommended campsites: Night 1: Observation Beach or Te Pukatea Bay. Night 2: Onetahuti. Night 3: Anchorage. Walk over the 47m suspension bridge across Falls River. On your kayaking days, choose to stay at the smaller campsites in the park that you can only access from the water.